Kantar Worldpanel’s latest figures for 12 weeks ending 15th July 2016 shows consumer spending on FMCG in China grew by 3.6% compared to the same period last year. The total FMCG market is showing signs of stabilisation after going through a period of slowdown in the last quarter of 2015 and the first quarter of 2016. Among the top 10 key retailers Sun Art Group, Yonghui Group and WSL Group are leading the modern trade growth with 10.7%, 33.4% and 14.1% growth on spending respectively for latest 12 weeks of 2016 versus same period last year. Sun-Art Group and Yonghui Group have kept very strong growth even when modern trade has been consistently slowing down since 3rd quarter of 2015. The performance of these two groups has been driven by continuous recruitment of new shoppers and growing consumer trip spending in store. 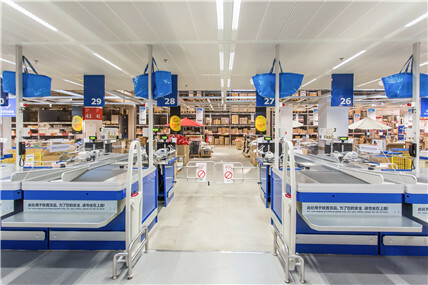 Yonghui’s penetration growth is driven by its aggressive store opening plan in 2016, especially in the West region. It opened 14 new stores in January 2016, much more than any other competitor and half of them were based in the West region. Wal-Mart Group is recovering and stabilizing during the year of 2016 which is mainly driven by its strong performance in the West region where its share grew from 5.9% during 12 weeks ending 10th July 2015 to 6.4% during the 12 weeks ending 15th July 2016 further strengthening its number 1 position in the West region. Besides, it is also performing quite well in the East region: spending grew 22.5% in the 12 weeks ending 15th July 2016 compared to the same time period last year, and this is much higher than in the East region which had a growth rate of just 1.6%. The challenge for all offline retailers continues to be the increasing momentum of ecommerce. The recent JD 618 anniversary has become the 2nd largest well known online festival which was first initiated by JD in 2010 and has been getting bigger and bigger every year. This year not only did JD amplified its content and promotion mechanism, other platforms like Tmall and Sunning also had their own activities during this time competing for a share of shoppers wallets. As a result a small peak for ecommerce sales was witnessed and during the festival period (5 weeks ending 24th June 2016) total ecommerce achieved 5.5% spending share among total FMCG which bigger than any single offline retailer.